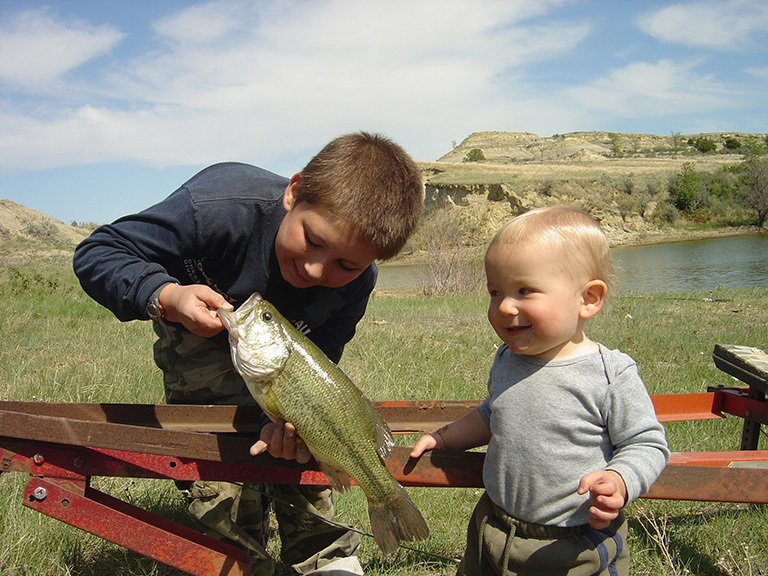 Cabins Of Amidon Campground & Lodging is a North Dakota destination for camping! You’ll feel right at home, surrounded by wide open spaces filled with abundant wildlife, within view of White Butte, North Dakota’s highest point. Our campground includes RV sites with full hook-ups, modern bathrooms, showers, tent space and cabin rentals. When you want to leave civilization behind and experience the last vestiges of nature in America’s Heartland, make Cabins Of Amidon Campground & Lodging your destination. Our campground in Amidon, ND is surrounded by beautiful and alluring sites. We’re just off of HWY 85—a direct route to the Great White North and a thoroughfare for the annual Sturgis Motorcycle rally in August! Camp with us and set out to discover the natural world around you. Hike the Maah Daah Hey Trail, view the state’s highest point at White Butte or explore one of the local hunting or fishing locales. When the sun sets and it’s time to make camp, we’re here to provide lodging. We support tenting and have log cabin rentals in Amidon, ND that sleep 5 comfortably (no running water), as well as pull-through RV sites with full hookups. We even have a bathhouse that contains 2 baths, 2 showers and a washroom. 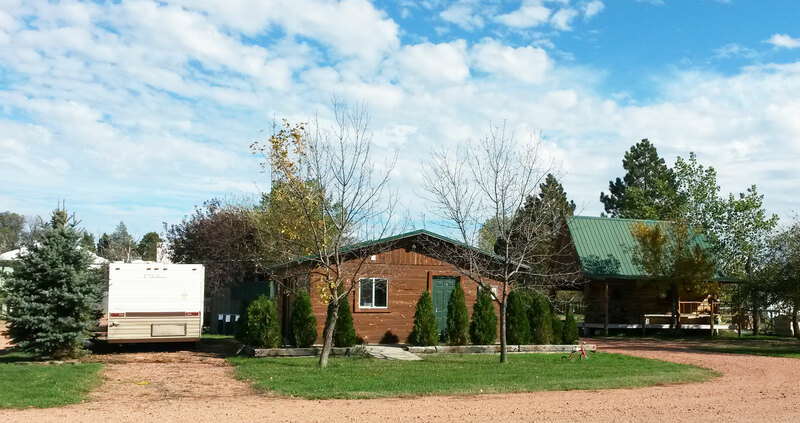 With access to so many natural sites, along with clean, private, comfortable lodging in Amidon, ND, Cabins Of Amidon Campground & Lodging is proud to be a destination for travelers and explorers passing through the area. Whether you’re from just down the interstate or you’re visiting us from Canada, we welcome you, and aim to make sure you have a comfortable, enjoyable stay while you’re with us. Our campground is secluded and peaceful, located 25 miles from any other camping area! Our owners live on-site, with a convenient, secure pay box available for quick and easy payments. We have a full shower house on the campground, with 2 baths and 2 showers, along with a separate washroom. Our site has convenient access to a full scope of activities and destinations, including hunting, hiking, fishing and more! There’s even a bar within walking distance! We are a pet-friendly community, so feel free to bring your hunting companions and any other pets that will share your comfort and enjoyment at our campground! Miles from civilization, right in the midst of beautiful North Dakota, our campgrounds are welcoming to travelers from far and wide. Drive through and hook up or rent a cabin today! "We stayed here last weekend for a wedding! The cabin is absolutely wonderful! CLEAN, quaint and so romantic! The owners are so nice. The bat..."
"Travis and Anna are the perfect hosts! ! CLEAN showers and plenty of hot water. You can not beat the location, on the edge of The Badlands, ..."